Early to bed and late to rise. Out of the three of us, Milton is always the very last one to be up and at 'em...! As my mom tends to say, "But Milt doesn't do anything all day! Why is he so tired?" Well, Milt Dog does stuff, an awful lot of stuff, but who are we to determine whether it is productive or not? Heck, half of what I do is probably working against productivity. 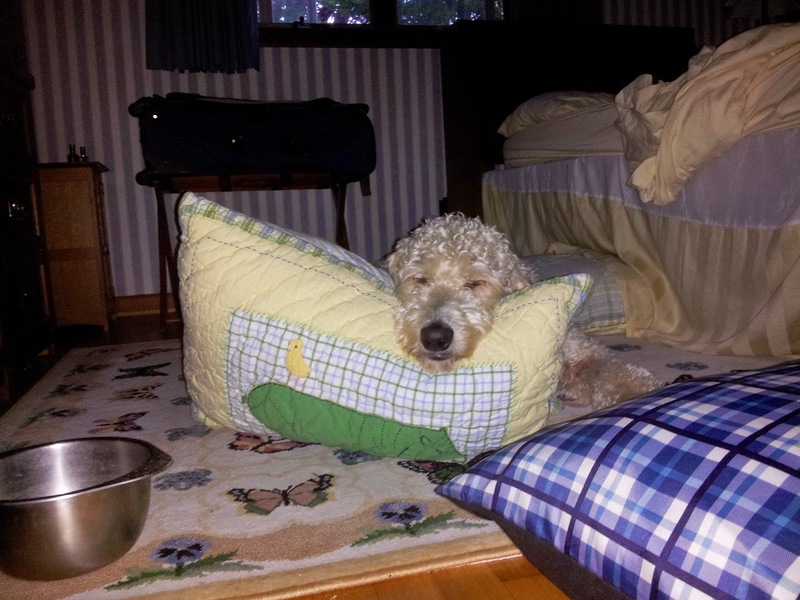 The caveat with our goldendoodle is that he tends to need four times the amount of sleep that we do in order to properly function -- lots and lots of little nappies. Well, I suppose it is better for me to be waking him up in the morning rather than the other way around. Beauty sleep at its best. "It's a dog's life" isn't an old saying for nothing. I think Milton is doing it right. What a dog!